Millions of cats and kittens are killed every year in this country because there just aren't enough homes for all of them. Others are abandoned outside trying to make it on their own. 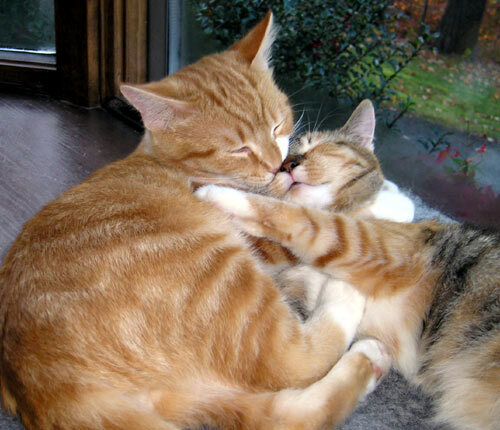 Some are left behind when their owners move away or are thrown outside because they are no longer cute kittens. These abandoned animals are hit by cars, eaten by predators, starve to death or die from the elements, illness or diseases. The ones that do survive bring more kittens into an already over-populated world. Then those kittens reproduce ... and the tragic cycle continues. It is up to each one of us to stop this cycle by not contributing to the problem. Be part of the solution - spay or neuter your pets and insist that others do the same! We offer help with both free and low-cost spays and neuters and also offer help with trapping cats who are found outside. For more information about altering solutions, please contact us at 603-893-2483. 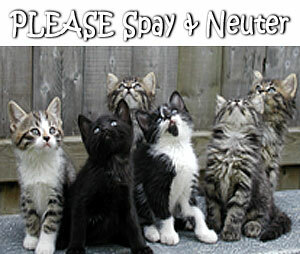 Click here for help with Spay/Neutering, Trapping or Rescuing!